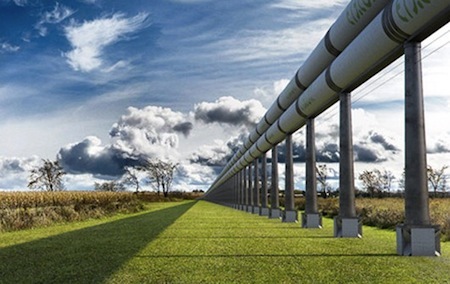 Take a look at Evacuated Tube Transport, a proposed transportation system that is (claimed!) to be silent - and faster and cheaper than planes, trains, cars and jets. However, the basic idea is actually 200 years old this year! 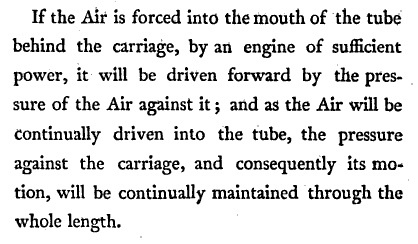 George Medhurst, a mechanical engineer born in 1759, had the same idea. Medhurst's idea was never put into practice. However, pneumatic tube systems have been used for transporting small packages or paperwork since 1836; they were invented by the brilliant Scottish engineer and inventor William Murdoch. From ET3 via Kurzweil AI; thanks to Moira for the tip on this story.